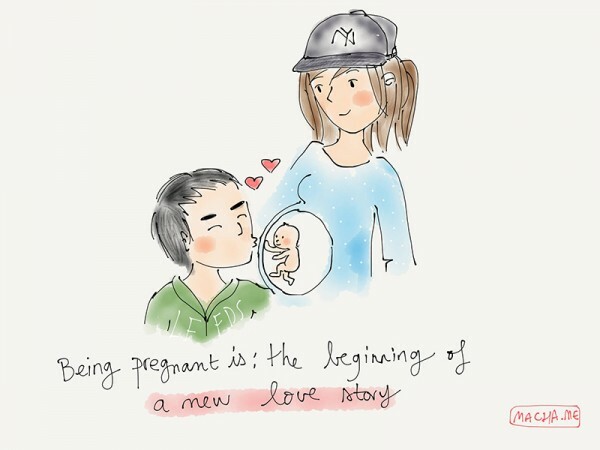 When words alone couldn’t capture what she was feeling about her pregnancy, Marie-Charlotte Yao began using her artistic talents to beautifully illustrate the moments she does not want to forget. Based in France but UK-bound Marie-Charlotte works as a freelance illustrator and graphic designer. 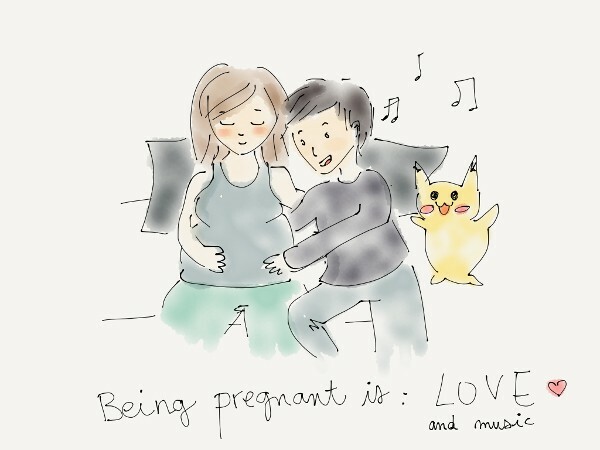 As her bump grows so does her collection of illustrations, created using her iPad and Paper by FiftyThree application. On her website Marie-Charlotte explains she titled the pregnancy project What it’s like to be pregnant: My diary for my future daughter. She says what started as a way to pass the time is growing into a special keepsake for her daughter and is helping her share moments with friends who don’t yet have children. 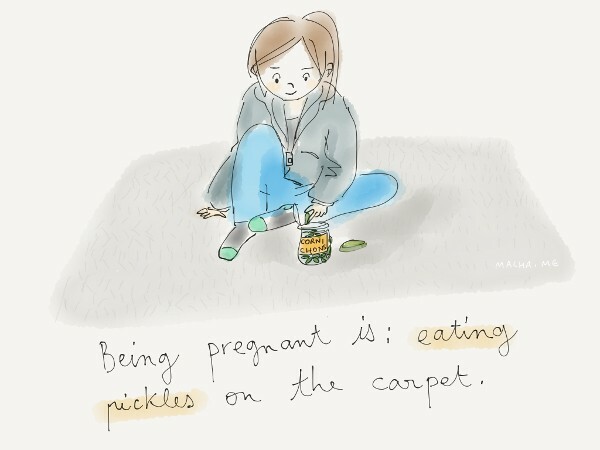 “Pregnancy is so new to me and I keep finding myself in some pretty unusual situations and thoughts and I wanted to be able to remember them and share them,” Marie-Charlotte says. 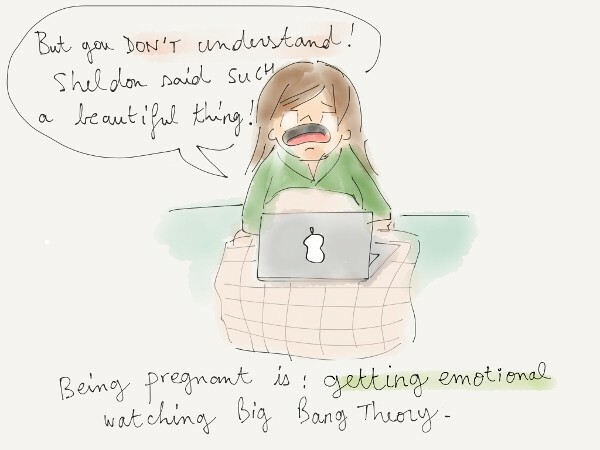 “As an illustrator, I couldn’t find a better way to express all these feelings. I always love to make some quick sketches on my iPad while commuting or enjoying free time… so that’s what I did. Marie-Charlotte’s little girl is due on July 13, 2016 and not a moment too soon for the new expectant mum. 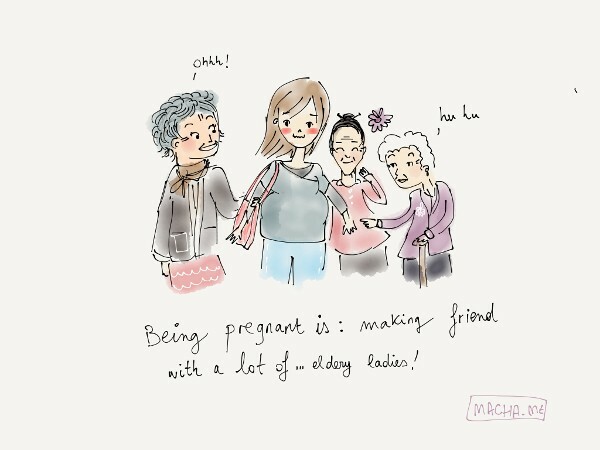 “I can wait to meet her, to talk to her face-to-face, to cuddle her and to be a three-player team,” she tells Babyology. 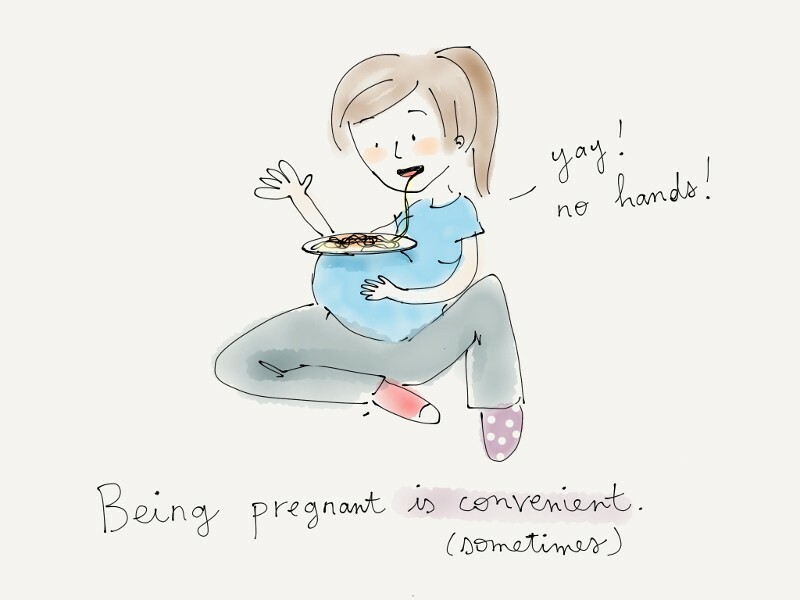 Her favourite part of being pregnant is “definitely the feeling of never being alone”. 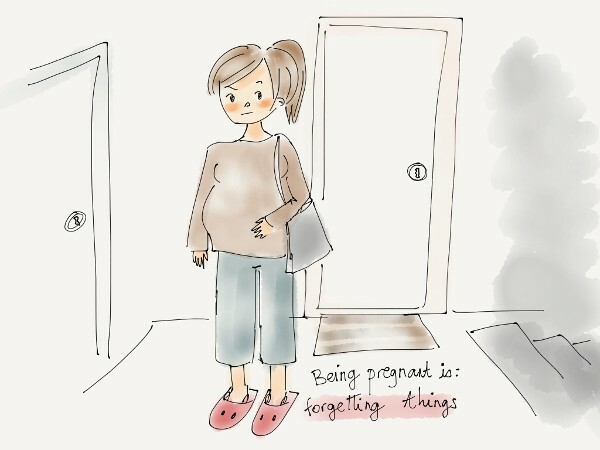 She says there are lots of special little things to enjoy about being pregnant. 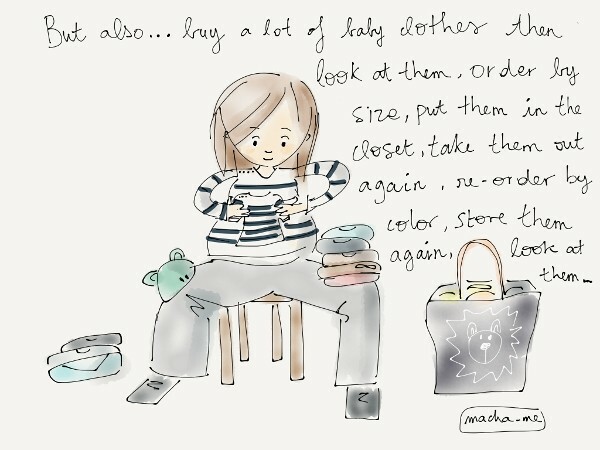 “The little attentions from my husband, my sister buying some baby clothes again, my mother calling me after every doctor appointment and my friends, who are the cutest telling me ‘no, you didn’t get fat at all I swear,” she says. 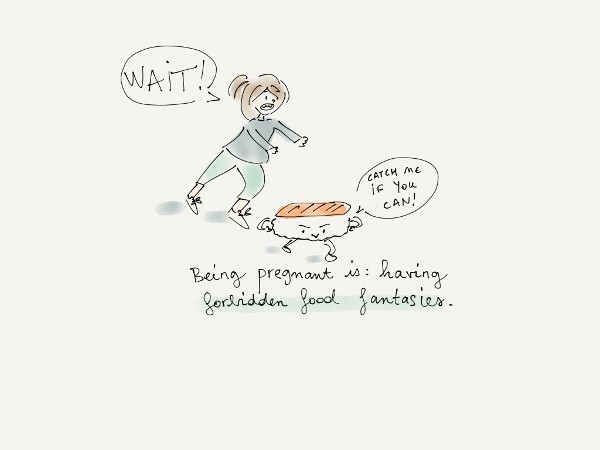 The most challenging part about being pregnant, Marie-Charlotte says, is surrendering to her changing body shape. “I really love sport and it’s really difficult for me to deal with breathlessness and lack of balance so I stopped all except walking,” she says. Marie-Charlotte is not sure how she will display her illustrations for her daughter. “Secretly, I would love to get them published. If not, I think I’ll organise them into an album,” she says. “(I feel) really happy that so many women can relate and send me positive feedback. Marie-Charlotte tells Babyology she is already plotting her post-pregnancy series. “Illustration is my favourite way to communicate – I’m so bad with words – and I have several projects in mind for the future which will be in continuity of this one,” she says.